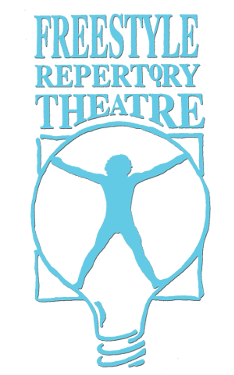 Freestyle Rep’s award winning show, Theatresports™, has been a part of the Gallery Players family programming since 2006. Led by Laura Livingston and Mike Durkin (teaching artists, P.S. 321, P.S. 124, P.S. 212 & Spoke the Hub), a zany ensemble of professional actors presents improvisational theatre as a competitive sport. The audience gives suggestions, sometimes performs with the company on stage, and decides the outcome of the game. It’s a different show every month and fun for all ages. No reservations are necessary. Check out the review from Front Row Center!